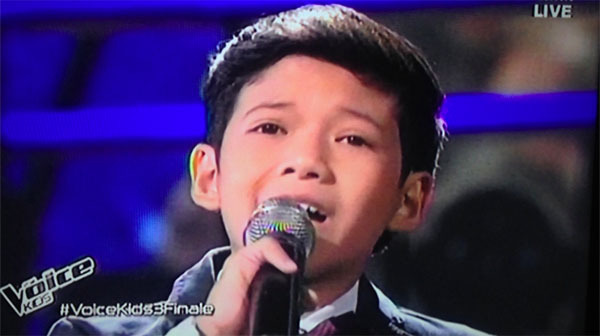 Justin Alva from Team Bamboo sing ‘How Will I Know’ for his power ballad performance on The Voice Kids Philippines Season 3 Live Grand Finals on Sunday, August 28, 2016. “Since day one, I’m in love with you. That was a great and heartfelt performance,” said coach Sharon. “Whatever happens, you have showed your voice with heart. Guaranteed you have a career,” said coach Lea. “Guaranteed you are the winner of The Voice this season. I feel that love and pain when you sing,” said coach Bamboo.